Have You Had A "Hard Day At The Office?" - Difficult Day Expressions! Have You Had A “Hard Day At The Office?” – Difficult Day Expressions! Check Out Our Difficult Day Expressions Below! Do you ever have a day at work or at university that is soooo difficult that the expression ‘a bad day’ just isn’t strong enough? I am sure this is a common experience for some people! We are here to help you express just how difficult your day really was with 10 useful expressions below. The word BAD just doesn’t describe your morning well enough! The following 10 expressions below are native sayings and terms used to describe challenging moments and events. Using these expressions will help you sound more native! Meaning = A difficult day where nothing went as planned! When to use this saying = Imagine you work as a sales person. You are normally the top sales person in your department. You speak to your clients and all of your appointments but for some reason, you just can sell anything today! You haven’t done anything differently to what you normally do. You just had a “hard day at the office”. Meaning = A challenging task which requires almost all of your energy! When to use this saying = Imagine you are studying for your degree. You have an important exam in the morning but you don’t feel prepared for it. You decide to stay awake and study all night in the library and go straight to your exam in the morning. This is a “gruelling” schedule. Meaning = To keep working through a long, challenging and boring task! When to use this saying = Imagine you work in finance. There has been a mistake made in one of your financial reports and it is your job to find it and correct it. The only problem, the report is over 1000 pages long! Your day will be a “a slog”. Meaning = A method of completing a task with great care and attention! When to use this saying = Imagine you are a lawyer. Your client has provided thousands of pieces of evidence to help their case. It is your job to look at each individual piece of evidence. This is a “painstaking” task. Meaning = Not being able to continue with something! Meaning = A situation which reduces your confidence or excitement drastically! When to use this saying = Imagine you are still studying for your degree. You have studied hard for years and you have finally submitted your thesis. You are confident this piece of work is the best you can produce. You receive the results and you failed by 1 mark! That is a “soul-destroying” moment. Meaning = A strict and detailed routine or task! Meaning = A difficult, boring and repetitive task! When to use this saying = Imagine you work in administration. You have a paperwork audit scheduled for next week and your boss has asked you to double-check each document from the last 12 months. This is a very “arduous” task! Meaning = A task that requires the maximum amount of energy and concentration! When to use this saying = Imagine you are an astronaut! You are have completed your many years of training and you are moments from launching into space. Your responsibility is to make sure the launch is successful and without any problems. This a “strenuous” task and job! Meaning = A boring day or task that is the same as every other day! When to use this saying = Imagine you are working as a cleaner. This is not your dream job! Every day you go to work and clean offices from 6pm to 10pm. Each day is the same routine! Every day is “Groundhog Day”. With the expressions above, you will be able to express yourself more colourfully and accurately! Keep learning and practicing! Also, create your free Word Perfect English profile below to meet people who are also learning English! 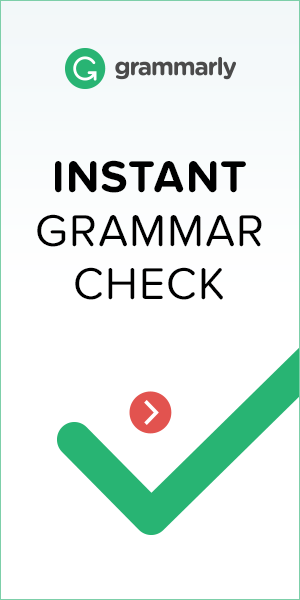 ⟵Learn English Grammar The Easy Way with Your Free Grammar Checklist!